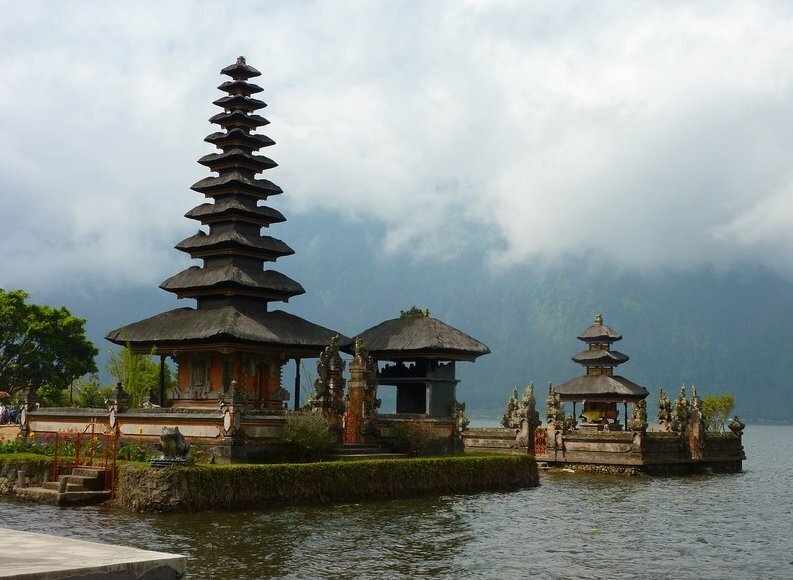 We made our last day trip from Lovina Beach to Mount Batur and the gorgeous Pura Tegeh Koripan Temple near Lake Batur. 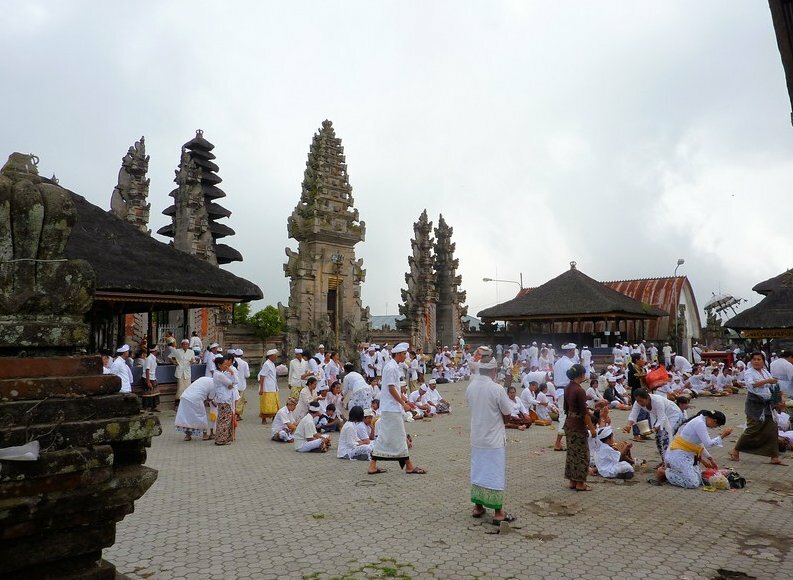 The funny thing was that as we arrived at the temple a large procession was going on, making our trip to Mount Batur a little but more special. 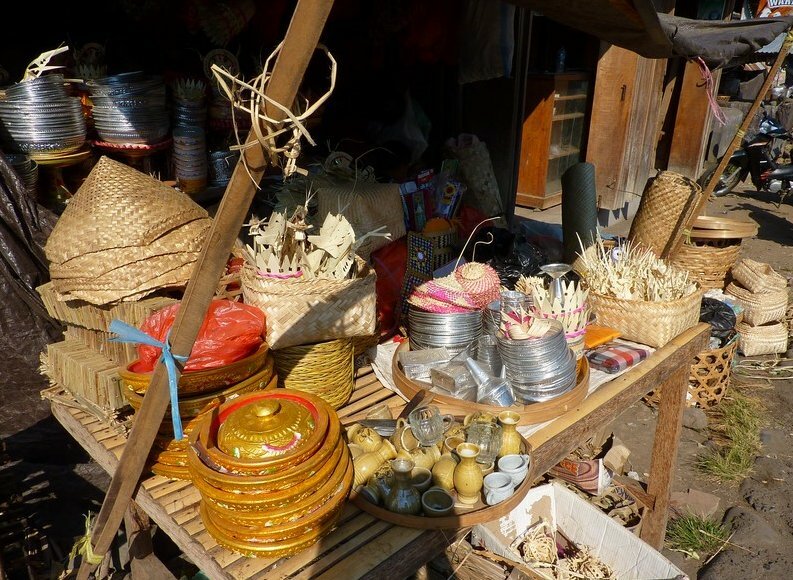 From Bedugul we drove back to Singaraja where we stopped for a fresh coconut drink and decided to accept our driver's offor to visit the Pura Meduwe Karang Temple, about 10 km east of Singaraja on the coast road. 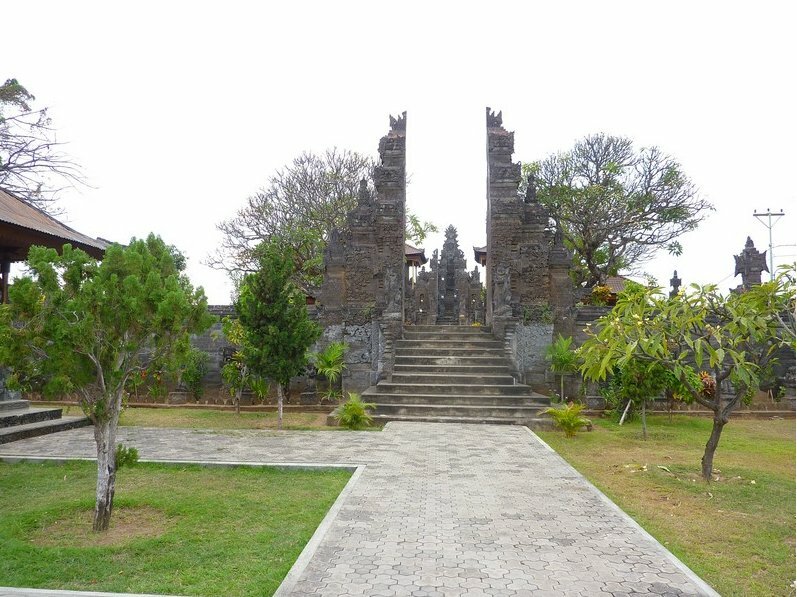 Besides the Buddhist monastery of Banjar there are a lot of other day trips that you could make from Lovina Beach, Bali. We also went to visit Bedugul near Lake Bratan and about a 40 km drive from Lovina Beach, first in northern direction up the coast and in direction of Singaraja and then southwards in direction of Bali's most central lakes. From Lovina Beach in the northwestern tip of Bali we headed to the Banjar Buddhist monastery of Brahma Vihara Arama near the small Balinese village of Dencarik. 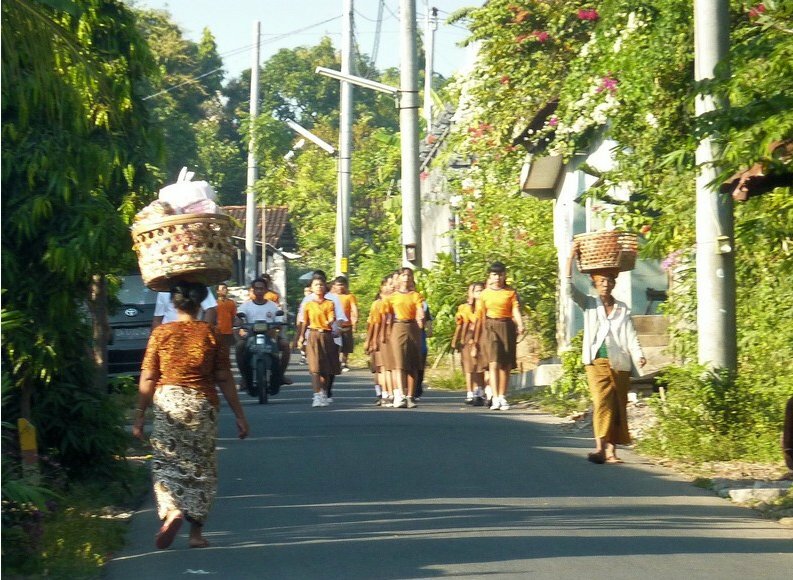 Dencarik is located about 2 km north of Banjar and home to Bali's largest Buddhist monastery, the Bahma Vihara Arama site. From Flores Island we flew back Bali where we landed in Denpasar, the capital city of the Bali Province and the gateway to the rest of the island. From Denpasar we headed from the southern Bali to the northwest where we stayed at Lovina Beach near the city of Sangaraja.